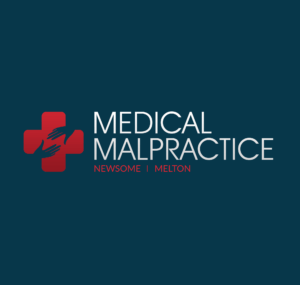 Medical Malpractice Injury Category - Misdiagnosis - MedicalMalpracticeHelp.com | Legal resource for people affected by dental & medical malpractice. Certain medical conditions are difficult to diagnose. A medical professional may need to spend extra time testing and examining the patient in these particular cases. The steps involved in proper diagnosis are important because an inaccurate diagnosis will lead to the wrong treatment. Medical treatment can involve prescription drugs or surgical procedures. Health care is not cheap, and the additional costs accrued during a case of misdiagnosis should not be the patient’s responsibility. Improper treatment can likely be ineffective or result in further harm to the patient. If a physician is unable to diagnose the patient, the patient will not receive adequate treatment and symptoms will progress. This could lead to hospitalization, lower quality of life, or death. A patient should seek more specific analyses from a medical specialist. These medical experts have spent additional years in training to focus on one field of health care. While they still have the generic background of a family practitioner, a medical specialist may quickly identify more complex diseases. Cancer is a life-threatening condition that needs to be diagnosed as early as possible to maintain the patient’s quality of life. If there is a delayed diagnosis of cancer, it will likely progress to a less treatable stage. In later stages, cancer has already spread throughout the body via the bloodstream or the lymph nodes. Later stages of cancer could require surgery, radiation, or chemotherapy. All forms of cancer treatment can be rough on the patient’s body. Even if the cancer is cured, these treatments may result in adverse side effects that deprive the patient of many joys in life. This can lead to an onslaught of mental issues, such as depression. There are several forms of cancer that are frequently misdiagnosed. Men and women possess tendencies towards particular types of cancer, so the list for each gender varies slightly. Due to the sheer amount of women that are diagnosed with breast cancer, there are plenty of opportunities for medical error. Age may play a role in the delayed diagnosis or misdiagnosis of this particular cancer. Young women displaying symptoms of breast cancer may be misdiagnosed with other diseases, such as mastitis. This prevents them from receiving adequate treatment, increasing the likelihood a full mastectomy. This type should be preventable with routine health examinations. If a gynecologist detects cervical cancer early enough, it can be easily treatable with an outpatient surgery. Left undetected, cervical cancer can be life-threatening. This form of cancer has very nonspecific symptoms, making it especially difficult to diagnose. Women often experience digestive issues due to an imbalanced diet. Problems with digestion have made cases such as irritable bowel syndrome (IBS) and Crohn’s disease more common in women. Doctors frequently assume a female patient’s symptoms are a sign of less serious ailments and may not investigate into the possibility of stomach cancer. This places the woman’s life at risk. A poorly diagnosed patient should always request further testing or a second professional opinion. Causing more than 15,000 deaths every year, prostate cancer is a very treatable condition that should not be allowed to progress without detection. Scheduling annual check-ups should allow the medical professional ample opportunity to detect and properly diagnose this cancer. A doctor that fails to check male patients for prostate cancer can be sued for medical negligence. Though treatable, lung cancer can develop rapidly. Once the cancer cells have entered the bloodstream or nearby lymph nodes, the cancer quickly spreads throughout the body. Patients diagnosed with stage 4 lung cancer are not likely to survive much longer. If a patient is having breathing problems that are not adequately being managed, visiting a respiratory specialist is urgent. This is a more treatable type of cancer as long as the patient has kept up with regular polyp screenings. Polyps in the colon can be identified years before the patient’s colon cancer actually develops. If a patient is experiencing rectal bleeding, he should seek thorough medical evaluation immediately. While cancer is one of the most important health issues to detect early, there are many other ailments that commonly receive misdiagnosis. This may be due to vague or unspecific symptoms, but it is the medical practitioner’s responsibility to investigate these cases in depth. All possible testing should be conducted when a patient is hard to properly diagnose. “Investigators from Wayne State University Publish New Data on Pregnancy.” Women’s Health Weekly 23 Feb. 2012: 210. Academic OneFile. Web. 25 May 2012. P Vedsted, et al. “Social Support, Gender And Patient Delay.” British Journal Of Cancer 104.8 (2011): 1249-1255. MEDLINE with Full Text. Web. 25 May 2012. “Studies from M.A. Defrancesco and Colleagues Reveal New Findings on Bacterial Infections.” Science Letter 17 May 2011: 3540. Academic OneFile. Web. 25 May 2012. Wang, Haoyan, and Yaling Zhu. “Clinical analysis of 42 patients with respiratory amyloidosis. (Oncology diagnostic: 12:00pm-1:45pm).” Chest Oct. 2002: 197S+. Academic OneFile. Web. 25 May 2012.